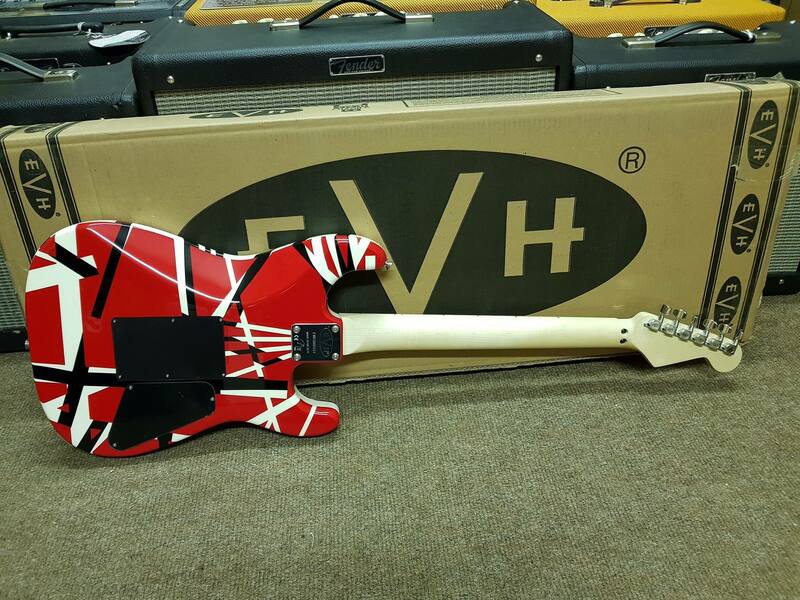 The Striped Series guitars put Eddie Van Halen’s historic and authentic style in your hands in the form of high-powered, high-performance machines that are as kickass to look at as they are to play. Built for the southpaw, the Striped Series LH R/B/W guitar features a basswood Stratocaster®-style body decked out in Eddie’s famed red with black and white striped graphics. Its bolt-on quartersawn maple neck is sturdy and robust with a scarf joint and graphite-reinforcement rods to fortify it against the extremes of nature, buttressing it against warping, while a hand-rubbed urethane finish makes for a fluid and high-speed playing feel. Hosting 22 jumbo frets and black dot inlays, the speed 12”-16” compound radius maple fingerboard is curved for smooth chord playing near the nut, flattening out for fast and furious leads without fear of fretting out during bends. A single ferocious direct-mount EVH® Wolfgang® humbucking bridge pickup is well-balanced and able to deliver balls-out overdrive and sustain without sacrificing the ability to clean up magnificently and articulate the cleanest passages when the volume is rolled down. 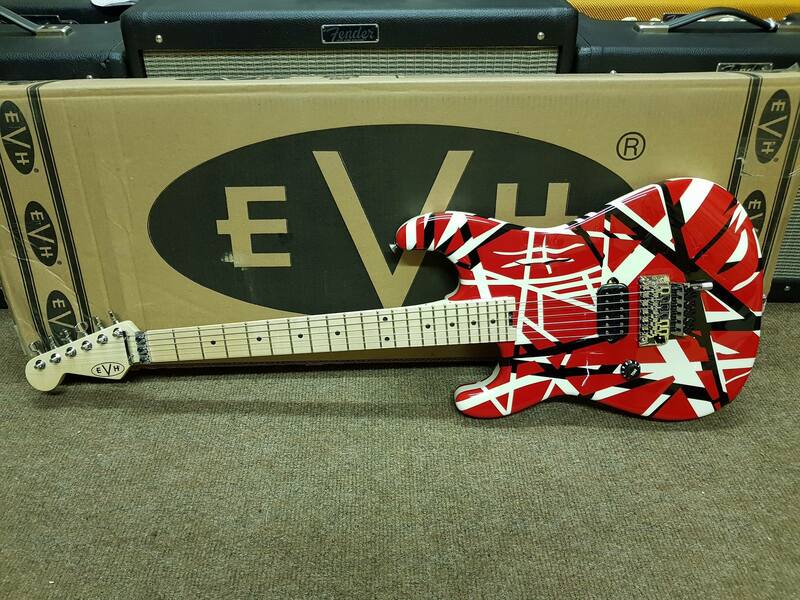 Other features include a truss rod adjust spoke wheel at the base of the neck, a single black volume control knob (labeled “tone”), EVH-branded Floyd Rose® locking tremolo with EVH D-Tuna®, bar string retainer and Floyd Rose locking nut, EVH die-cast tuners, vintage-style strap buttons and chrome hardware. Boasting iconic style, the Striped Series LH is ready to roar.